Churches are planted in various ways. In Anadarko, it may be that all it takes are Thanksgiving baskets, blankets and a green ceramic frog. Members at Anadarko, Bethel had a low-income housing area on their hearts. 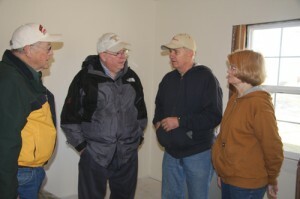 They wanted to do something for the residents at Thanksgiving, but with 80 housing units, 72 of them rented, it seemed like an impossible task for the church which has a Sunday School attendance of around 100. “It’s a God-sized project, but we can do it,” said one member. So a ladies’ Sunday School class which regularly collects money in a green ceramic frog to send children to camp each summer, donated the frog to the cause. The frog was placed at the back of the auditorium for four consecutive Sundays, and members were asked to drop their pocket change into the eight-inch tall frog. At the end of four weeks, the members had contributed more than $1,300. But, Miller said, when they went to buy the groceries, the store gave the church the items at cost, and they spent only $800. With the money left, the church moved on to its next project-blankets as Christmas presents for each family member in the housing complex-approximately 135 of them. 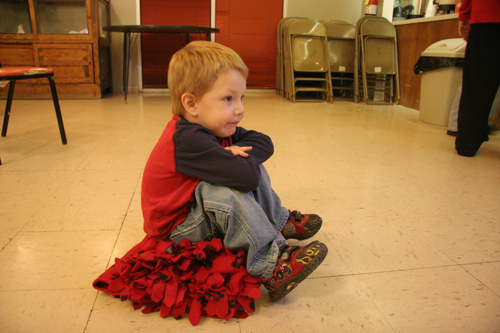 The Blanket the State ministry was begun by Marsha Cook, wife of Russell Cook, director of missions in Pottawatomie-Lincoln Association, originally to provide blankets for Oklahoma’s pregnancy centers. However, the ministry has mushroomed into several other areas. “It seemed like a good idea to give the blankets to those in the housing addition,” said Basham, who is a member at Bethel. She said there are 10 churches in the association involved in the blanket ministry, and they have all sizes-those for babies, teens and adults. “We have enough to give one to every family member in the addition, and will have some left over to give to the pregnancy center in Chickasha,” she said. But back to the frog. Miller said the money left after the purchase of Thanksgiving groceries was used to buy fleece to make more blankets. 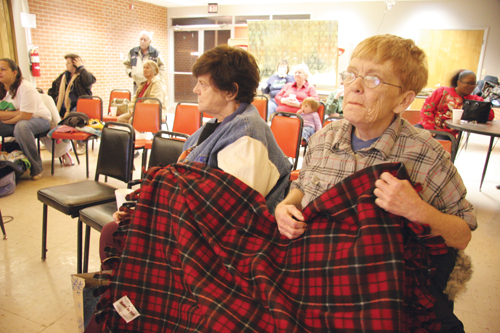 Miller said even making the blankets has become a witness in the community. 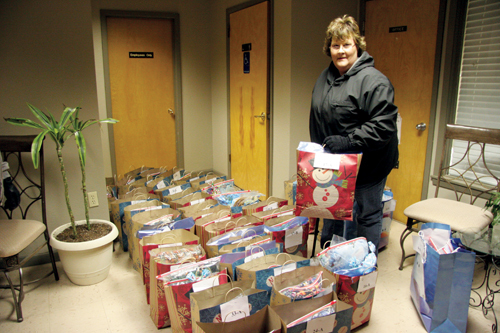 The blankets were packaged in gift bags and given at a party at the housing addition’s community center Dec. 22. The residents also received a gigantic homemade cookie, candy canes and other Christmas candy, along with the plan of salvation. After receiving their bags of gifts, the residents were treated to the Jesus film. Bethel is hoping the outreach to the Thunderbird Housing Addition will result in a Bible study there and perhaps even a preaching point.